But, in relation to the Good Counsel u14 footballers on Tuesday afternoon, that certainly wasn’t the case. The New Ross based school were playing St Aidan’s CBS of Whitehall, Dublin, in the Leinster ‘A’ u14 Football Final today. Leading the game on a scoreline of 3-14 to 1-1 at the interval, the game was dead and buried. However, the New Ross schoolboys showed no signs of stopping, showing no mercy as they wrapped up an additional 4-16 in the second-half to bring their total tally to 7-20. We lead 3-14 to 1-1 in the second half of the Leinster A Juvenile (U14) Football Final. See it out now! This trashing follows their 4-16 to 0-6 semi-final dismantling of St Patrick’s of Navan, Meath, last week. Congrats to all involved, on an impressive 40-point-victory that should not be undermined. 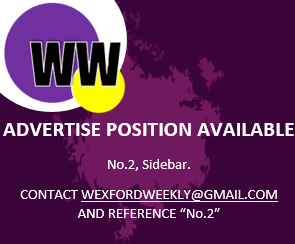 The future of Wexford football looks good!